This project aims to build community capacity to control agricultural weeds via education and extension in addition to trialling innovative approaches for the control of Ragwort (Secencio jacobaea). This project is is supported by funding from the Australian Government. 2. Establishment, monitoring and evaluation of a ragwort control demonstration site. 3. 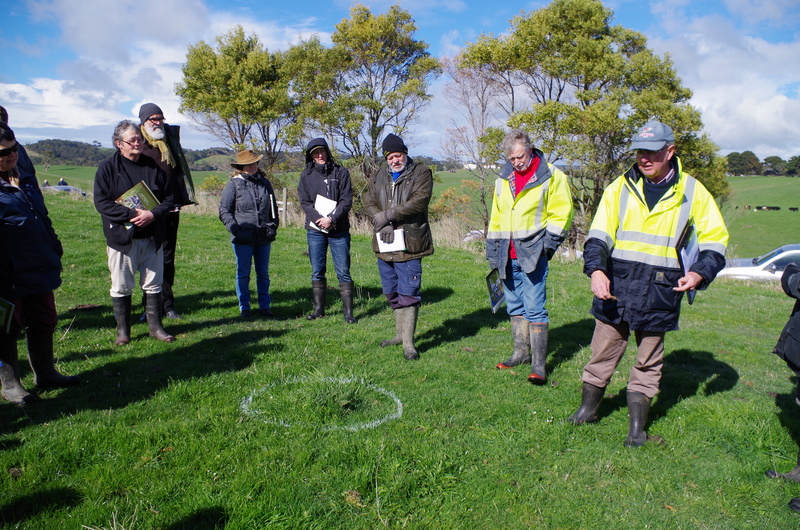 Two farmer field days; one exploring and sharing knowledge on best practice for the control of ragwort in addition to other agricultural weeds the other sharing the outcomes of the ragwort demonstration site. This project is expected to achieve a reduction in the cost of weed control for farmers and increased farm gate profits as a result of increased weed control in the region. 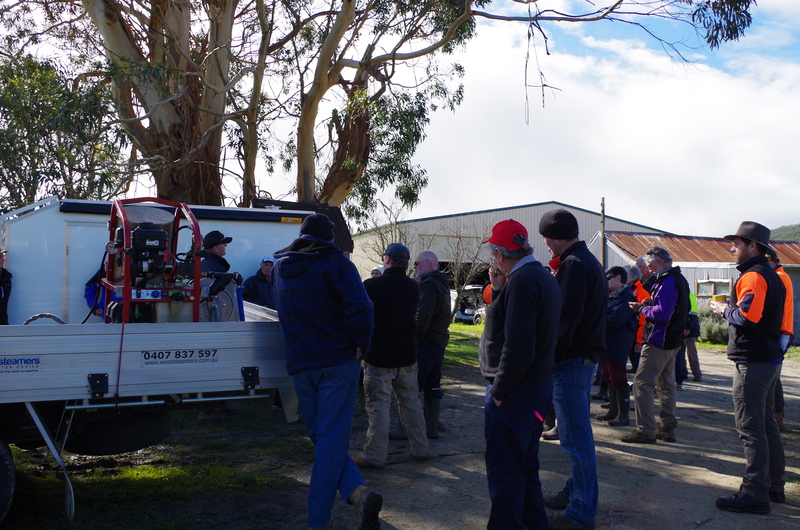 SGLN held a successful field day on Thursday 24th August as part of its ‘Innovative solutions to controlling agricultural weeds’ project. 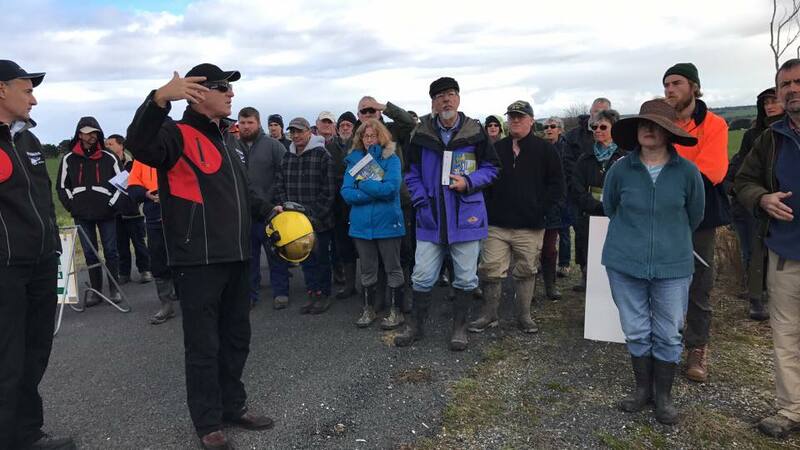 Over fifty participants watched demonstrations of weed spraying by an unmanned aerial vehicle – the Yamaha R-max unmanned helicopter- and ‘Weedsteamers’ steam weeder in the field day host’s organic blueberry orchard. Property owner Tim Farrell is a partner in the steam weeding business and has controlled the weeds in the orchard exclusively with his steam weeding machine. Field day participants first looked at our ragwort control trial plots where agronomist John Gallienne explained the trial setup. The aim of the trial is to evaluate some practical control options for ragwort growing in established pastures that are appropriate for the region, including determining the cost-effective outcome of these options for landowners. The demonstration trial activities will be recorded and mapped against the treatments. 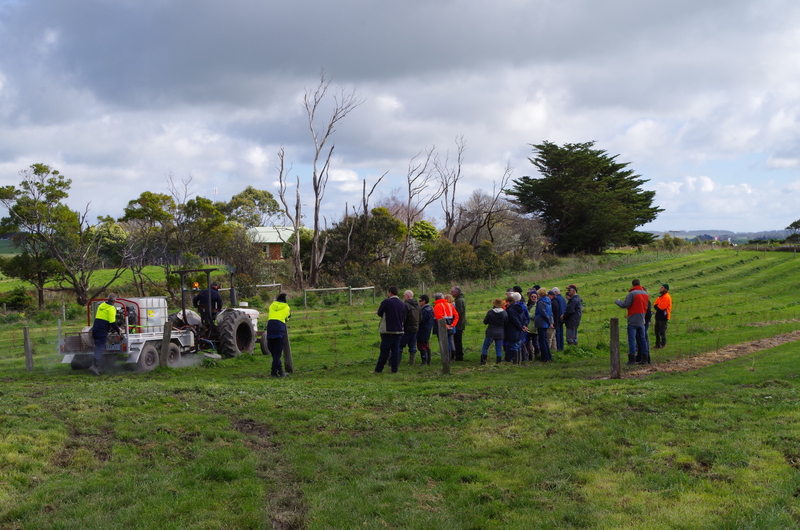 The results will be available to the farming community in the region at a trial site ‘paddock walk’ in January 2018 and the field day in early March 2018. 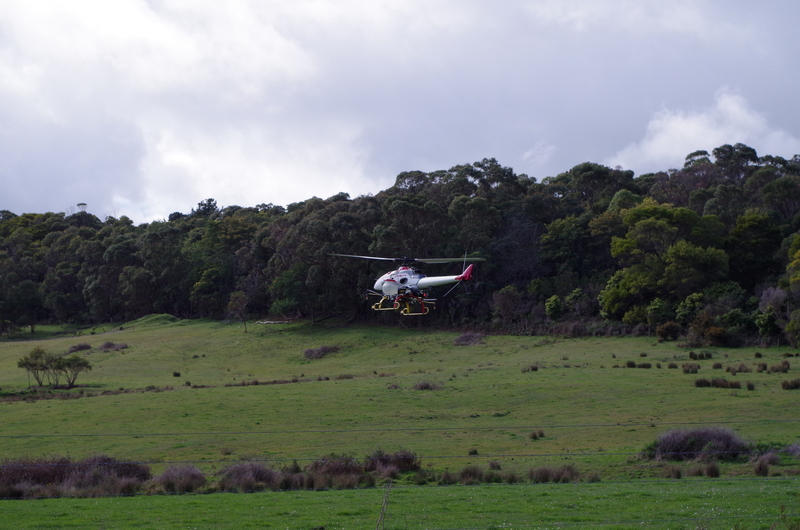 Information will also appear in Landcare newsletters and the local press. This project is supported by funding from the Australian government.